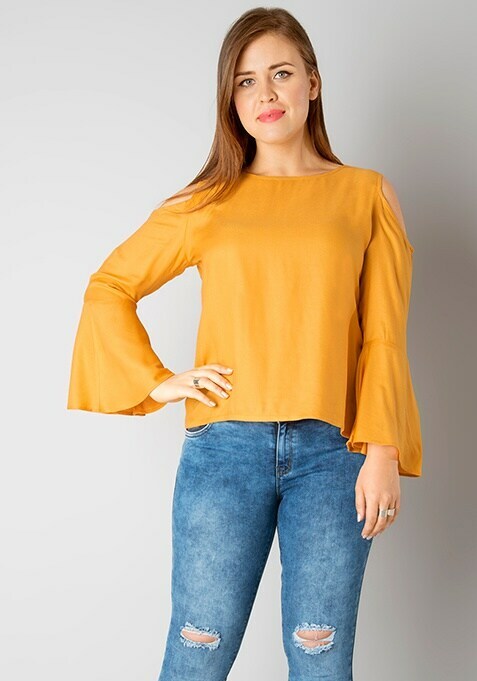 This mustard top is just what you need to make a ravishing statement. It features a cold shoulder style and bell sleeves. Work It - Looks gorgeous with barely there heels, and red hot lips.